"Physiologically the organism tends to eliminate toxic substances (toxins). This is natural response to get back in health. This is the natural way of healing. However, when the ingested quantities of toxins go over the elimination capacity, toxins pill on and progressively deteriorate the health by reducing the organism natural defences. Regular cat and dog food are full of toxins and switching the diet for a more natural one, logically triggers the elimination of the accumulated toxins." Dr Sanchez-Peñalver, homeopathic veterinarian. Hygiène du Foie is highly recommended to help cats and dogs transitioning more easily from a regular industrial food to a natural food. 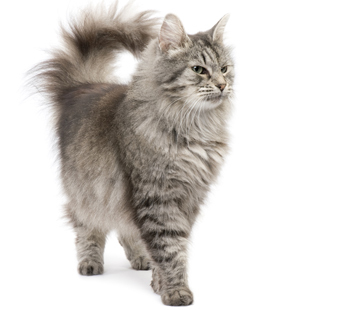 After this elimination of toxins, dogs and cats will fully benefit from the new food. 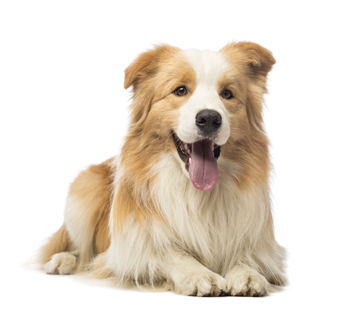 Furthermore, the liver works as a filter as well as a vital energy supply for the organism, hence crucial for the well-being of your pet. In order to maintain an optimal functioning of the liver, we recommend to use Hygiène du Foie twice a year. 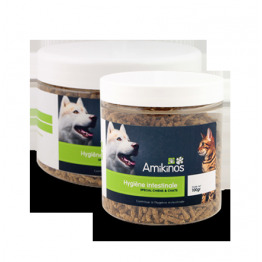 Our tip: The 100gr packaging is enough for dogs up to 28kg. Over 28kg, please choose the 200gr packaging. Ingredients : extract of artichoke, boldo and asparagus. Methionine. Choline. Give for 7 consecutive days without interruption. Start again one month later if necessary or after a conventional medical treatment. The cynarine stimulating the liver and the gallbladder. The nectarine facilitating bile evacuation from the liver and stimulating the bile circulation in the gallbladder. The luteoline reducing the LDL cholesterol. Hence, the artichoke elevates and stimulates the production of bile. It also helps liver cell regeneration. Stimulates the secretion of bile which helps digestion. Protects the liver and the gallbladder. Asparagus are cleansing and diuretic. It thus facilitates the elimination of waste via the urinary tract. Asparagus also contain glutathione which has anti-cancer and antioxidant properties. This amino acid is particularly interesting since it protects liver cells. This liposoluble vitamin prevents the destruction of cells. The artichoke, boldo, and asparagus help the liver eliminating waste which prevent its normal fonctioning as a filter and energy supply. In the meantime, the methionine and choline will help regenerate and protect the liver cells.